I know I talk a lot about things from a rural perspective, but can I take just a minute to encourage all you urban dwellers that homesteading can be done in the city as well? Including raising chickens? 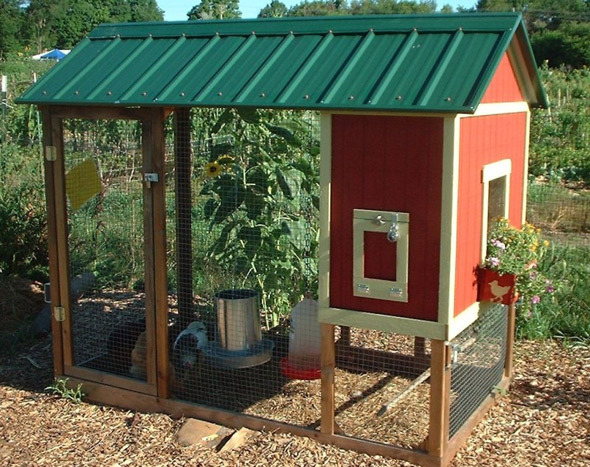 You would need to check your city ordinances, but assuming they allow poultry, look at what you can do in a small space! The photo above was taken in Santa Barbara, right down town in the back of one of my favorite shops Rooms and Gardens. I try to visit every time I get over there so I can take in this wonderful tiny garden. Literally surrounded by four brick buildings, it gets only a small bit of direct sunlight, but using plants that have low light requirements creates this serene setting for a small hen house and area for the birds to scratch in the dirt and stretch their legs. Check out this coop! Who thinks of these things? Seriously, I would have never thought to turn a chest of drawers into a chicken coop, but I love it! Kind of makes me think of Alice In Wonderland for some reason. Just let your imagination run wild with this one! 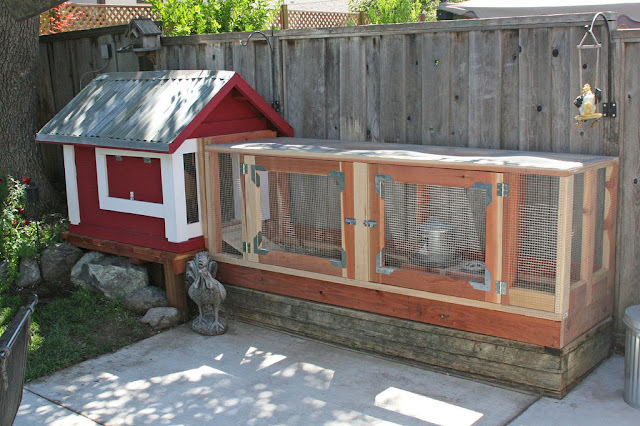 This is a great compact coop for your city hens. I actually purchased this set up plans and was going to build this coop until I started adding more chickens. 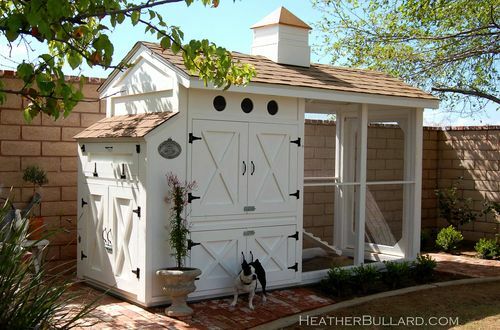 But if you're just going to keep a few in a small space, this coop is big on charm and makes good use of a small footprint. Here's another urban coop that has made good use of land space by keeping it right up next to a fence. this leaves the bulk of the yard for other activities and needs while giving the hens a front row seat to all the action! 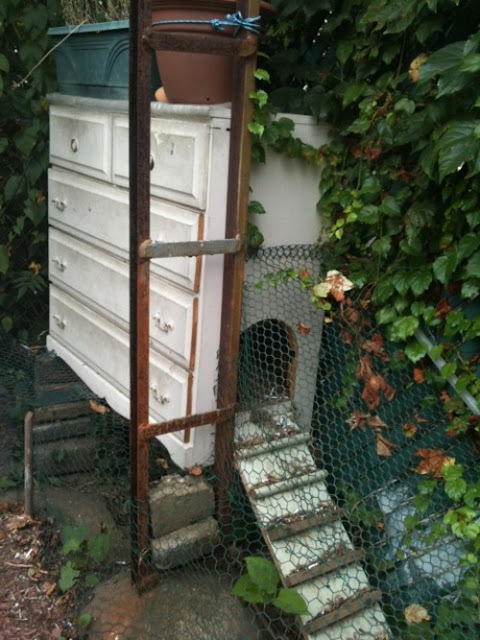 Perhaps you live in an upscale neighborhood and need more class for your hens to quietly "fit in" and be accepted. Consider one of these two chicken digs. 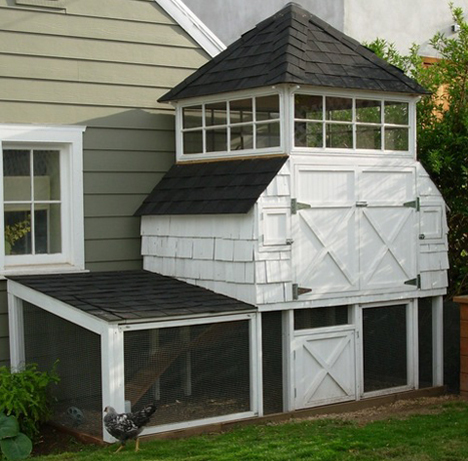 With a coop like this, your neighbors will want more than just eggs; they'll want the grand tour! And Heather Bullard's coop comes with all the amenities. Click the link under her photo and you can tour the entire thing right from your chair! No dresser to recycle? No building skills? 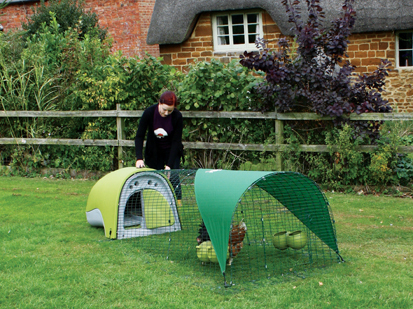 Try an Eglu by Omlet. They have several models to choose from and it's just right for a couple of layers. And if you think you might move, this would certainly be more practical. In fact, if you think you might want to move it around the yard, this is the one. Send me your urban coop pictures so I can share them with other readers. I'll be accepting photos until Sunday evening, November 14th. Just email me at homesteadrevival at sbcglobal dot net and I'll do the rest. Be sure to include your name and city as well as any blog or web address that you would like me to include. Need some support for your venture in urban chicken keeping? Check out Urban Chickens Network or Urban Chickens. Where Have All The Cooks Gone? Want To Show Off Your Coop?